Are there places in your business where you are looking for an app or something you can use to help you improve your business? We will be going over apps that we use to improve efficiency and communication. As well as dive into how we can integrate our apps together to make a unified experience. One of the advantages of having apps on your mobile device is being able to pull and see data from wherever you are. You can also perform tasks from your device as well, making the barrier of completing work on-the-go smaller. Communication apps are important, especially if you have more than just you in your business. Of course there’s still email, phones, and there’s other things you can do but a lot of communication that happens with in your business is moving to mobile. The reality is everyone is on email and it can get cluttered. If you have something urgent that needs to get out, it can get lost in the mess. One app we use is Slack. It’s a great chat app to collaborate with people on our team, make sure everyone is on the same page with information and it’s a great way to check up on how much is getting done with the progress your team is making throughout the day. It’s free to begin using Slack and if you need more heavy lifting, there are some additional paid features you can get if you need it. There are some other apps that are similar like Groupme. Although it’s an online SAAS app, Freshbooks has an awesome mobile app. It has a clear, simple design that’s really easy to use. When we’re out doing consulting for a client, it has a time tracker right on the app so by the time we’re done with our consultation we can send them the invoice right away with all the correct information on it. It also can integrate with your current card processing gateway or it can take care if it for you with its own so clients can easily and quickly pay you. Facebook Pages is a great way to stay on top of your Facebook Business Page. Running any Facebook Ads? Facebook’s Ad Manager is great for on-the-go reporting for your campaigns to get an idea of performance from wherever you are. Trello is a very popular Kanban style todo system that’s used for task management. We use it for our projects and it’s a way to look at what kind of productivity our team is making. Asana is also another Kanban task management app. Regardless of any task management app you use, make sure it has good reporting so you know how things look. Another thing to look at is if it can integrate with Slack to consolidate your experience. Google Alerts allows you to scout the web for topics and content you want to be notified of. You can set up RSS feeds and different search criteria for subjects you want to stay on top of. This is perfect for content curation and content marketing. Another app is Mailchimp, this mobile app for this helps you see how your email campaigns are doing and look into what’s going on with your lists. If you have a strong social presence, having the Facebook Messenger app is handy to connect with your customers, get customer feedback, keeping up with customer service requests. A great way to unify your experience with your apps for your business processes is with Webhooks. Webhooks allow you to share data between different apps using the power of API’s(Application Programming Interface). API’s grant us the ability to have two different applications talk with each other and send data back and forth. There are a couple of services that allow you to create custom Webhooks for your apps. We admittedly use both If-This-Than-That(IFTTT) and Zapier and Webhooks are good for automation. An example of a Webhook that we use is whenever we put a client in our system, it will trigger an email with their name and address to a third party company we hire and send them a welcome card. We use Webhooks in our marketing processes as well to create custom listening functions where we can be notified if something happens on social media that we need to track. There are lots things we can do with mobile apps to help us streamline productivity and see what’s going on in our company. We also have our own mobile app just for our clients that is always being improved on. Go ahead and take a look for yourself and see if they’re right for your business. In the course of consulting businesses on social media, we often find that companies are not fully aware of the value of advertising on social platforms. Buying ads on social media can be a boon to your business. It shows you’re up to date with technology and in tune with what your customers are doing online. You can create effective advertisements very quickly. For example, one of our clients spent $200 over the course of a month. Nearly 30,000 local residents saw it, generating almost 79,000 impressions! These ads bring people to your social media profile, so they can like your page and see more of your unpaid posts in the future. Any time you post – e.g. if you have an event or statistic to share – you can pay to guarantee your post will be seen. Find customers by their demographics and interests. Generate lead forms inside of the app. Customers don’t have to leave the social site and are more likely to give your their info. You can sell right on their screen. No need for them to get lost trying to get to your site! Ads can be turned on and off at anytime and edited live to fix mistakes or fine-tune them. They’ll provide data on who saw the had, clicked on it and did something because of it. To test ads for effectiveness, it’ll probably cost you around $100 a week for three to four ads. With the cost, time, flexibility and precision of social media factored in, the power of social media is clear. Let’s get you started! Advertising on Facebook is a powerful tool to grow your customer base. In this post we’ll discuss a handy technique in detail: custom audiences. When you set out to create an ad campaign on Facebook, you’re given a lot of targeting options. Pay attention to these. This can narrow the audience of your ad by age, demographic information, zip codes, cities, gender, hobbies, topics, interests and more. Unlike mass media, every dollar you spend is sent to customers you pick. You can talk to specifically those who will be more receptive to your message. Say you have a list of emails of customers. You can upload these into Facebook and connect your ads to their personal profiles. Most people sign up with your newsletter with the same email they use for Facebook. Now you can create ads designed specifically for your current customers, like suggesting upgrades, reviews of past purchases and asking them to like your page. Facebook allows you to extend your reach to customers that are similar to your chosen audience. Pursuing people who should be your customers – who have similar needs and buying preferences – expands your business to new customers. Facebook also tracks mobile device information. If you have a list of phone numbers, especially of B2B clients, you can find customers this way, too. Website traffic can also link you to leads. A snippet of code (a “pixel” in technical terms) copied and pasted into your site shows you dozens of metrics. Visitors to your site who also use Facebook can be served ads directly onto their profiles and newsfeed. This process is known as retargeting. Media use is also tracked. Users who watch your vides can be divided into groups based on how long they watched it. Should someone watch nearly an entire video but miss the sales pitch at the end, you can send them an ad for the part they missed! Ultimately, ads on social media follow the same basic principles of all sales. A no is not a no. It just means they don’t have enough information yet. Another ad or coupon can break through to a conversion. A great feature to spruce up your campaigns is Facebook’s lead form. This form is created right on Facebook and automatically populates as much information as it can. Customers just fill out the little remaining and hit submit. You can also track those who filled out the form but didn’t submit it for some reason. How do you get into your Facebook marketing account? On the upper right corner of the main Facebook page is an arrow that points down. Click on it and a menu appears. Near the bottom is an option called “Manage Ads.” This takes you to the dashboard. When is the Best Times to Post on Social Media ? TLDR: The right content, at the right time, is gold. This is a question that gets bounced around social media circles frequently. Timing is an element, but not the entire picture. Instead of thinking solely about the numbers on the clock, frame it this way: How and when can I get the most people to watch my stuff? This is critical for two reasons. First, if you know when your followers are going to be on, they are more likely to se your posts. Second, even the best content will be buried if it’s not shared at peak traffic hours. When you post, think of your content as having a “time value.” The time value of a post is 100 percent immediately after posting. Every minute that goes by, that value drops. The longer the post is out there, the less chance a post has to be seen as it gets buried by new information from other contributors. The closer you are to posting when your viewers are online, the better. There are plenty of site-specific and demo-specific articles on when to post. For you as a small business owner, local patterns are more useful than any national trend. Consider your goals when posting. Time frames that are great for a company like Nabisco or Macy’s may not sync well with what you need. Don’t forget to factor time zones, too! Here are some tips to think about when choosing a time. While seeing your post is helpful, interaction with your post is more important. Likes, shares and comments push your content out there more. Aim for the right audience. Ask your customers to follow you. The type of content displayed will attract a certain type of follower. Be relevant. Use your analytics tools. Most networks have sophisticated systems built in. Facebook, Twitter, Pinterest, YouTube, and more tell you when your audience is watching and what they are interacting with. Some will even tell you what percentage of your audience is watching in real time! Think of it from your own perspective. Would you stop and look at that? When are you on? If you have employees, have them follow you. And follow yourself! Do you notice your own posts? If not, why? Keep a list of posts and note when they were posted. Track how they performed historically. Find trends. Connect content with time. Play around with those trends. Experiment. People can be easily distracted by major news events so be aware of what is happening in the local and national news. Notice if your followers seem to be distracted and see if the news is something you can talk about as well to stay in the conversation. Whatever you do, don’t post marketing content during a tragedy! It’s ok to post during a major news event to acknowledge it or show support. To advertise is just tactless, to say the least. One time, Macy’s posted an ad during a hurricane. The store offered victims a sizeable discount on clothes. Though well-intentioned, the online community ate them for breakfast because it came off as insensitive and exploitative. Not a good plan. Err on the side of caution. Always. A client of ours sells home security and did the opposite. The Friday before our major campaign was supposed to launch, the Sandy Hook school shooting occurred. We froze the project for a week, but even then it was too raw. Two weeks later we felt good about finally releasing their marketing. It was one free tweet, but the press loved it and so did the fans. It was discussed nearly as much as the game the next day. If an event doesn’t fit, it doesn’t fit. If your brand isn’t oriented toward Christmas then perhaps a simple holiday greeting would suffice. If it’s not political, staying far away from those events or news stories is wise. As a general rule stay neutral in any kind of dispute. By paying attention, listening, responding promptly and understanding who your customers are and what they love, you will find the right time to post. Contests on social media are a great way to establish relationships with customers, improve the image of your brand and boost sales and lead generation. As with anything on social media, there are some best practices to keep in mind, and some pitfalls to avoid. This article will discuss both. The broad purpose of a contest is to prompt customers to execute a desired action. If contests don’t motivate your followers to do something, you will get little out of it. Examples of useful actions include sharing content on their own sites or posting their own content and giving you information to generate leads. User-generated content. The goal of this contest is to get your customers and their friends to create something related to your brand and post it on their personal social media accounts. For example, if you sell t-shirts, ask customers to post a picture of them wearing one of your t-shirts. This will put your product in an image that many of your customers’ friends will see when they scroll through a newsfeed. To keep up the incentive, give them more entries for each image they post. The winning prize can be something small or great. Just remember the better your prize is, the more people will sign up and the more leads and brand exposure you will get. Another example: 7-11 had a contest in the past with the hashtag #WhatsYourSlurpFace? They asked customers to post a picture of themselves drinking a Slurpee, which 7-11 later posted on their website. Not only was this fun for those taking the picture, but it generated plenty of goodwill for the brand. Voting /popularity contests. This contest encourages entrants to encourage their followers to come vote for them. Whoever gets the most votes wins the prize. This kind of campaign generates more participation from the friends of customers and may give you better reach. It’s especially effective in getting new followers and likes for your social media pages. One of our clients had tremendous success running a voting contest. They are a roofing company, and they wanted to find more clients. They offered a free new roof – an $8,000 value – to the entry with the most votes. To be eligible, contestants had to post a photo of their roof and explain why they deserved a new free roof. 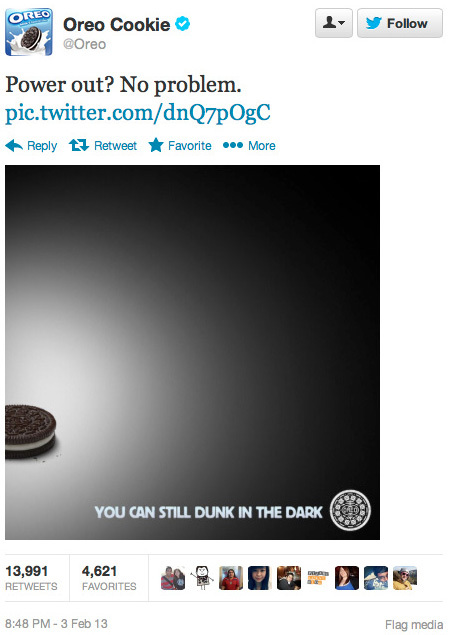 This campaign drove 3,000 Page likes in five months. It gave the company nearly 30 new leads. Every entrant was given a discount on a new roof, many of whom ended up purchasing one. These were customers who had not heard of the company before. Enough voters and friends of the contestants remarked that the 2nd place winner needed a new roof badly. The family had little resources and their roof was in bad shape. The followers of the contests started donating money to this family without being asked. The roofing company was touched and decided to give the 2nd place winner a roof at cost. Three years later, this company is still getting business from people who were moved by their generosity. Define what the prize is carefully. Be specific and clear. Don’t surprise people! Anything considered deceptive or misleading could get you into legal trouble and bring you bad press. Encourage people to share. Have them share your pages, content, website, etc. Social media is all about sharing! Use the hashtags #sponsored or #ad if the content is user-generated. If you have people post on your behalf, without having them disclose they were given an incentive to do so, you can get in trouble with the FTC. See our video on how to avoid trouble with the FTC here. Create written contest rules. It’s painful work, and may involve consulting a lawyer but hosting a contest without them is asking for trouble. Host the rules on a landing page with the contest so people can read them. The rules should outline what is happening, the start and end dates, the odds of winning, who can win, and include a clause that protects you from liability. If you are doing contest in good faith, it will almost always go smoothly. For those few times they don’t, written rules will save your skin. Be purposeful about what you are doing. Without a clear objective, your content and interactions with your customers will come off as fake or contrived. On social media, that can be especially damaging. Use 3rd party apps to manage the contest if it becomes too much of a headache. Facebook Apps like Shortstack or contest-specific apps like Woobox can free up some of your time and help you get started on the right foot. Think of all of the ways people can “game” your contest. Anticipate challenges in that arena. With voting contests, some people will vote multiple times or even setup computers to vote automatically for them. Use a landing page or an app that mitigates this kind of behavior. Discover what your followers like, follow and talk about. Craft your brand’s story accordingly. The story you have is critical, and a contest that fits it will perform far better than one concocted just for the heck of it. With these things in mind, you can get started! Don’t forget to ask your contestants and their friends to fill out forms and refer friends. Have customers promote and talk up your product as much as possible. It’s nearly-free advertising – take advantage of that! If done well, a contest can give your company sales, brand awareness and leads. It’s easy to do once you get the hang of it, and it can be a lot of fun, too! If you find yourself stuck or need any help, feel free to contact us and we can help you get started.